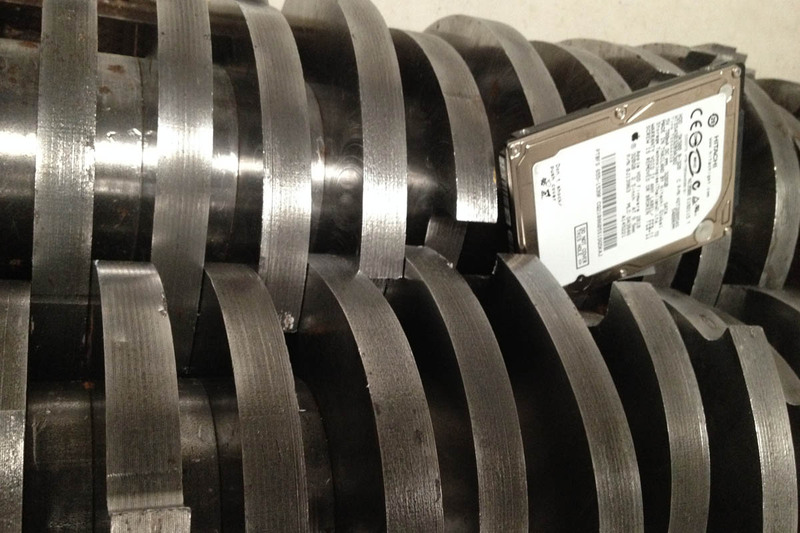 We offer recurring service, or one-time purge service at the lowest price. One of our trucks arrives at your facility. 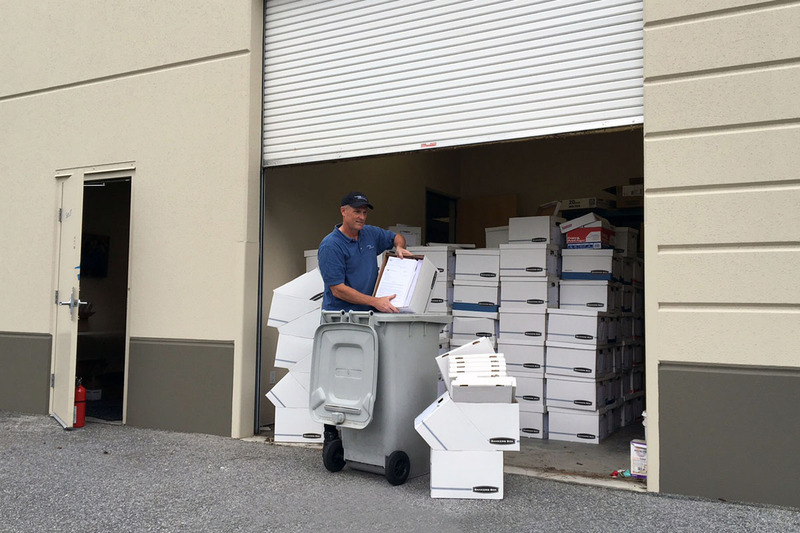 Our friendly, professional service representative collects the documents. The documents are taken to our truck. The bin is put onto an enclosed lift and dumped into the shredder where the material is shredded in minutes. At the end of the day, the shredded material is dumped, baled, and sent off to a recycling plant where it is turned into new paper. 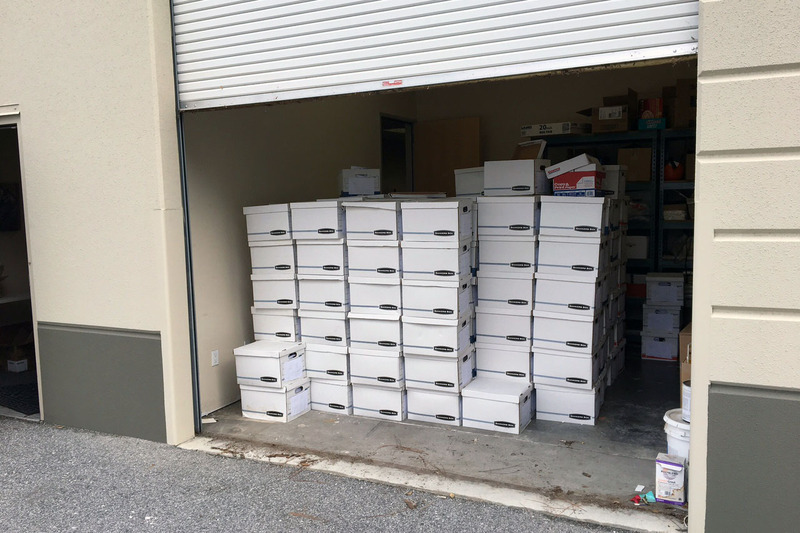 Insite also offers the most hassle-free and lowest cost purge service. We dump your material into our containers. Where it is lifted into the shredder while you watch. Hard drives and other media. 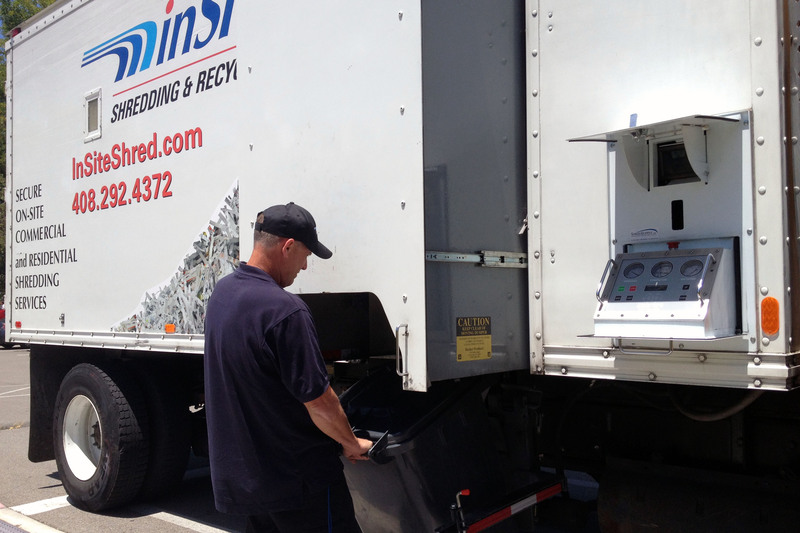 We have a dedicated truck for shredding hard drives and other e-waste.